To make guests dreams come true is one of the guide’s responsibilities and I do enjoy that. I’ve had wonderful sightings this week here in Selous, first one was Lions mating around Lake Tagalala, on my way to the hot springs to pick up some guests I saw these lovely beast busy passing their genes to the next generation. It’s dry season now and all the herbivores are forced to visit the lake for water, predators like Lions just wait for them to come and have an easy meal. Lions take about four up to five days mating day and night which is not an easy job, so dry season is a good time for breeding because food is easy to come by. 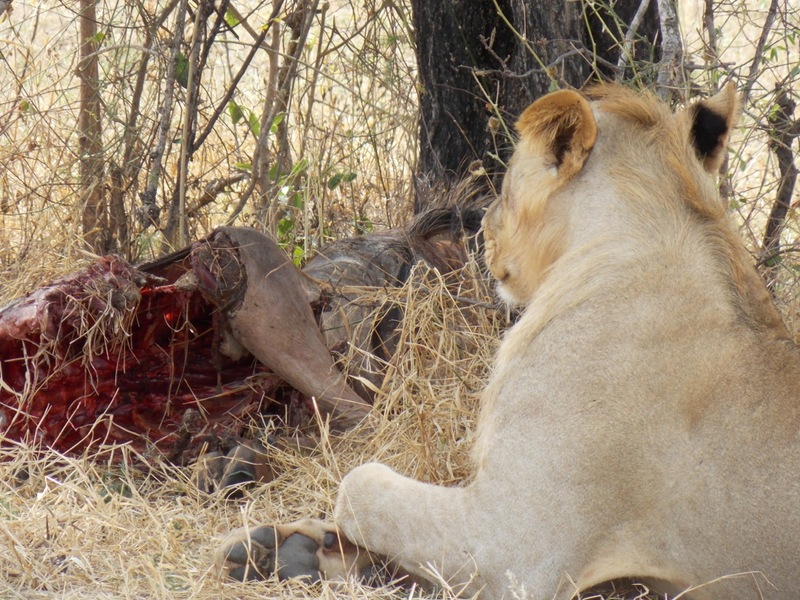 Next sighting was yesterday around Lake Manze, we saw one Lioness with four young Lions with a wildebeest kill. It looked like they made the kill early morning because we saw few remains. The hyena and Vultures were nearby waiting for the leftovers. We spent some time with the King and Queen of jungle hoping to see some action between Hyenas and Lions but nothing happened. 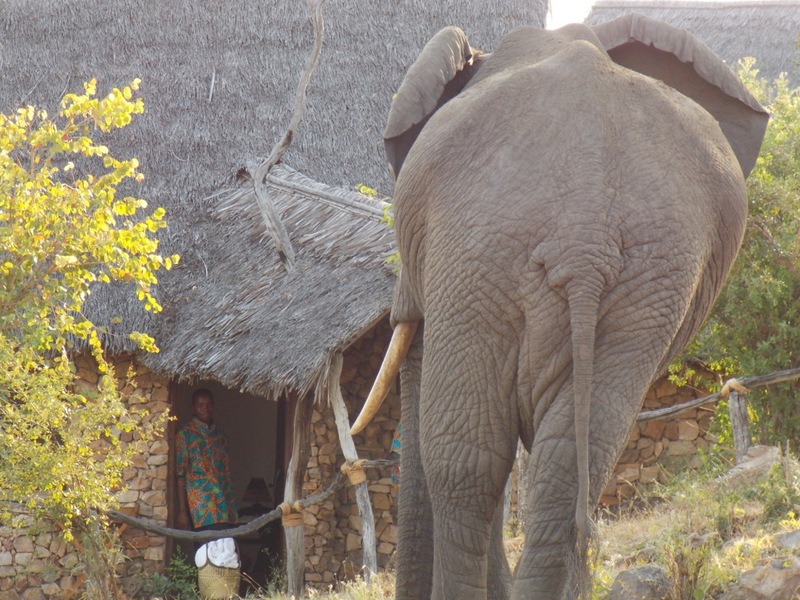 Our friend Elephant is back, wondering around room two and main camp looking for some falling fruits from the tree and offering a great sight for our guests. Elephants are mixer feeders eating everything from leaves, grasses, tree roots, and fruits, spend almost twenty-two hours feeding. The Elephants digestion system is not very efficient so 40% of what they eat just passed through the system without be digested; Elephants can eat more than 250kg of food per day. 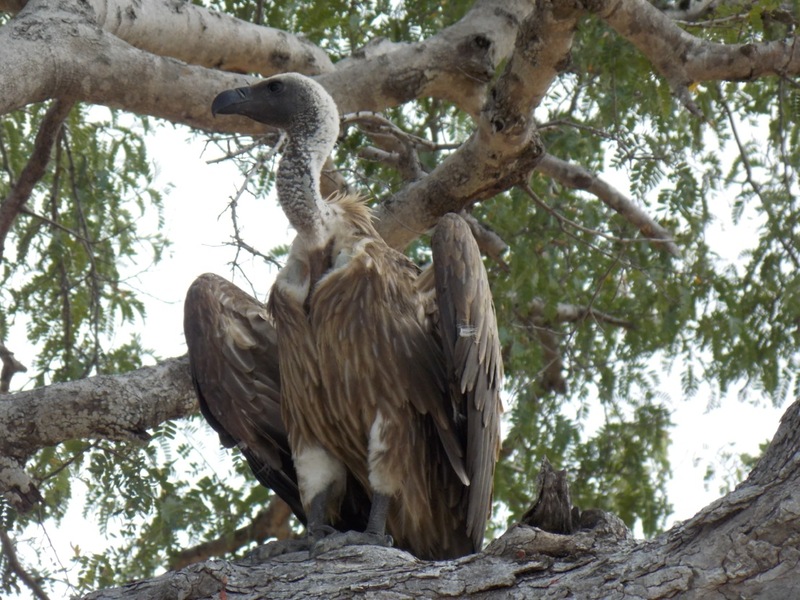 This entry was posted in Godlisten, Wildlife and tagged Beho Beho, camp, elephant, kill, lions, safari, selous. Bookmark the permalink.